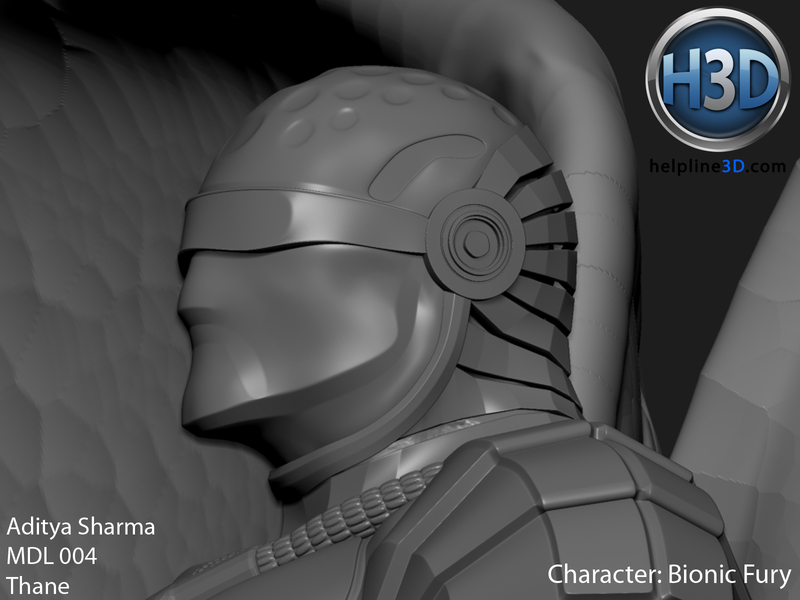 Aditya A Sharma Characters Concepts Models Sculpts Bionic Fury : My entry in the H3D Modeling Challange. Bionic Fury : My entry in the H3D Modeling Challange. Now it was time to add all the cool abilities and I tried my best to not add all the common powers and search for something that is more unique, though I couldn't find many ideas but I still managed to squeeze one or two in. I won't mention the powers yet as they aren't visible with the current condition of the model so you guys will have to wait for me to complete this model and upload the final render. 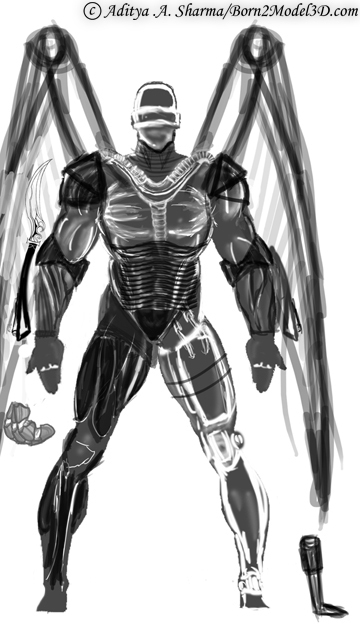 Once the concept was roughed out I decided to start modeling and add the details in modeling later. Since last couple of days I was a bit too interested in the idea of modeling hard surface models using Zbrush, so I decided to use zbrush more compared to maya. I won't call it a mistake but still the output might have been a whole lot different if I would have done the model in Maya only, though I learned a lot about hard surface modelings in zbrush by this experience. 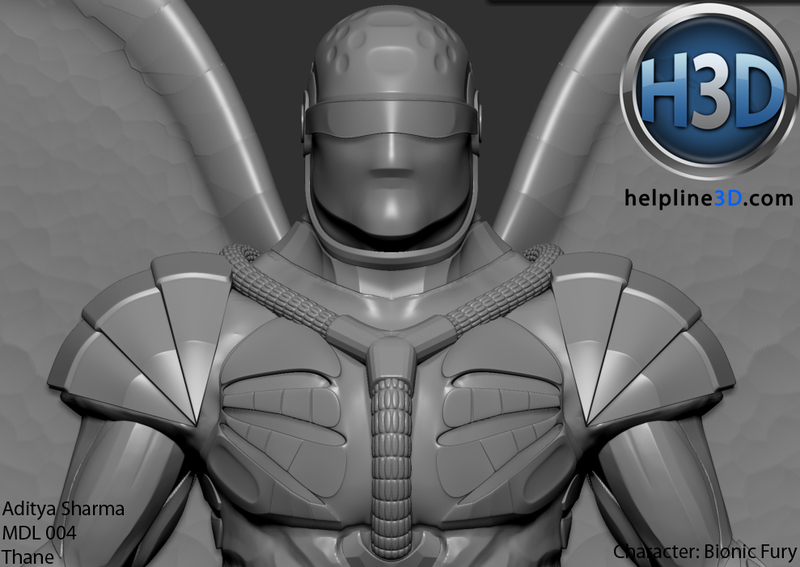 I started with making base meshes with zspheres which were later posed and retopologized. I decided to model the following parts in maya, as they were a bit hard to manage in zbrush and then I attached them to the retopologized zsphere base model. 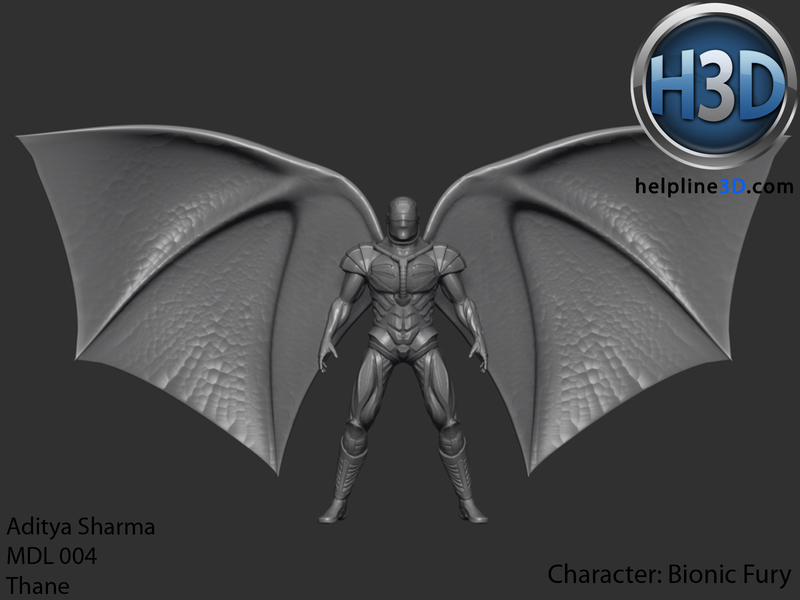 Then I went on to sculpting some details and also made the wings in Maya. I wasn't happy with the wings as the wheel in the center seems really heavy. The following were the final submissions that I did on H3D. I know they aren't great but that's because the previous night my graphic card blew up after a continuous 8 hrs of brutal exploitation that too after just a 10 min. break. These aren't renders actually, just screen captures. I am still working on this model and will try to develop it to the fullest and I will keep posting about any future development on this one. You can check my Helpline 3D forum thread by clicking here.